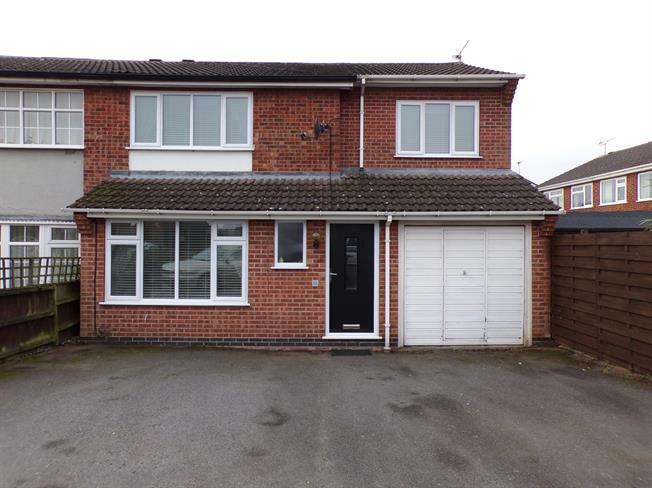 4 Bedroom Semi Detached House For Sale in Loughborough for Guide Price £250,000. A very well presented and spacious four bedroom semi detached property which has accommodation comprising hall, lounge, spacious kitchen diner, ground floor WC and conservatory. On the first floor are four bedrooms and family shower room. Outside the property benefits from off road parking to the front which leads to the garage and an enclosed lawned garden to the rear. This fantastic property offers spacious accommodation throughout and is being offered for sale in excellent decorative order throughout. The property would make the perfect family home and should be viewed internally to fully appreciate the accommodation on offer.